HUBBARD A Mass of Christian Burial will be held on Wednesday April 10, 2019 at 11:00 AM with Rev. Michael Swierz officiating for Albert Smiley Jr., 79, who died Friday April 5, 2019 at his home. He was born March 23, 1940 at home in Hubbard, a son of Albert and Felicia Smith Smiley Sr. and was a lifelong Hubbard resident. 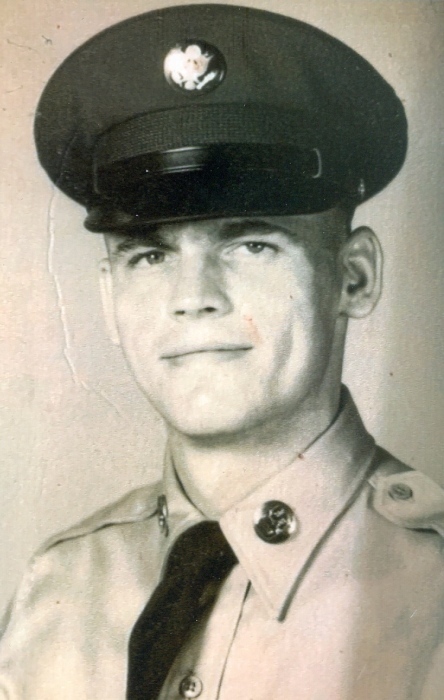 Mr. Smiley, a 1958 graduate of Hubbard High School, served with the United States Army and was a member of St. Patrick Roman Catholic Church. Albert worked for General Fireproofing until they closed and then worked in the parts department for P I & I Motor Express until retiring in 2010. Albert was a youth baseball coach for minor league, little league and pony baseball leagues, he bowled on the Monday Senior league and Wednesday Night bowling league at Bell Wick Bowl in Hubbard and golfed on the Deer Creek golf league. He was a die-hard Cleveland Browns and Indians fan, enjoyed NASCAR and gardening and was an avid animal lover. Albert especially enjoyed spending time with his family and his grandkids. His wife, the former Theresa Suzanne Dahman, whom he married December 28, 1963, died December 31, 2012. He leaves two sons, A. J. Smiley and his wife, Mary Ann of Hubbard and Thomas Jon Smiley and his wife, Lisa of Highland Heights; a daughter, Suzanne A. Lewis and her husband Steve of Greenville, PA; 7 grandchildren, Mackenzie Lynn Smiley, Grace Elizabeth Smiley, Josie Rae Lewis, Sophia Anna Smiley, Lucas Gabriel Smiley, Luke Thomas Smiley and Justin D. Lewis and two great grandchildren, Lincoln Claire and Lexi Ann Lewis. Albert was preceded in death by his parents, his wife Suzanne and three sisters, Kay Rouns, Felicia Soltis and Lillian Heben. Family and friends may call on Tuesday April 9, 2019 from 5:00 PM to 8:00 PM at the Kelley-Robb-Cummins Funeral Home and also on Wednesday April 10, 2019 from 9:00 AM to 10:15 AM followed by closing prayers at the Kelley-Robb-Cummins Funeral Home. Interment will be at Hubbard Union Cemetery with full military honors rendered by the West Middlesex Honor Guard. Donations may be made to MVI Hospice, 4891 Belmont Ave., Youngstown, OH 44505, St. Jude Children’s Research Hospital, 262 Danny Thomas Place, Memphis, TN 38105 or to the Wounded Warrior Project, P.O. Box 758517, Topeka, KS 66675-8517.